We know Summer is a few months off, but most of these summer camps are already registering, so we wanted to make sure you knew about them NOW! Get registered before they fill up! Make sure you keep checking back, as we will for sure be adding more and more camps as the summer gets closer, and as we hear about them! Also, make sure to check out our "Enjoy Utah! 's Summer Adventure Series" for more fun ideas to do this summer! 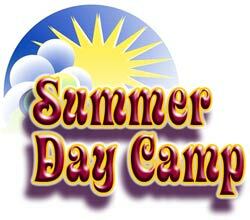 If you know of a summer camp, please email us at contact@enjoyutah.org so we can make sure and post about it! Thanks! Kindermusik with Hope Holder - Mention Enjoy Utah and get $5 off your summer camp.